Misty Morning Cottages may include links to other websites (third-party) and may use plugins and other applications to improve your visit to your website. When you click on those links or enable the connection to those third-parties, they may collect or share data about you. We do not and cannot control these websites and their practices, nor do we bear any responsibility for their privacy statements. 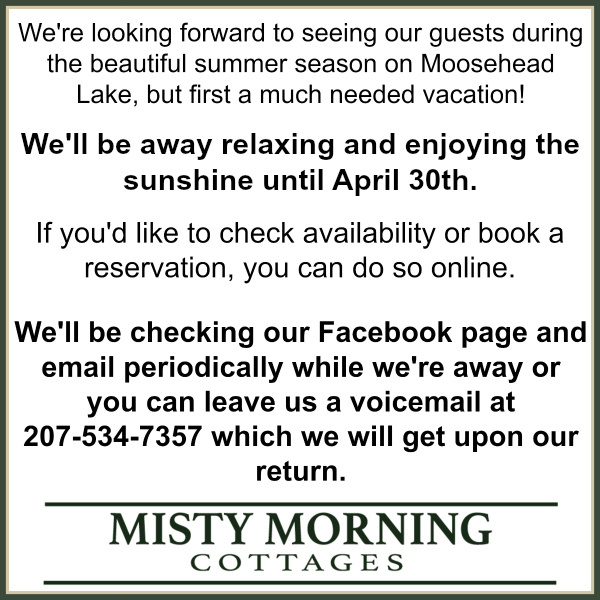 We urge you to read the privacy policies and statements of every website you visit upon leaving Misty Morning Cottages.